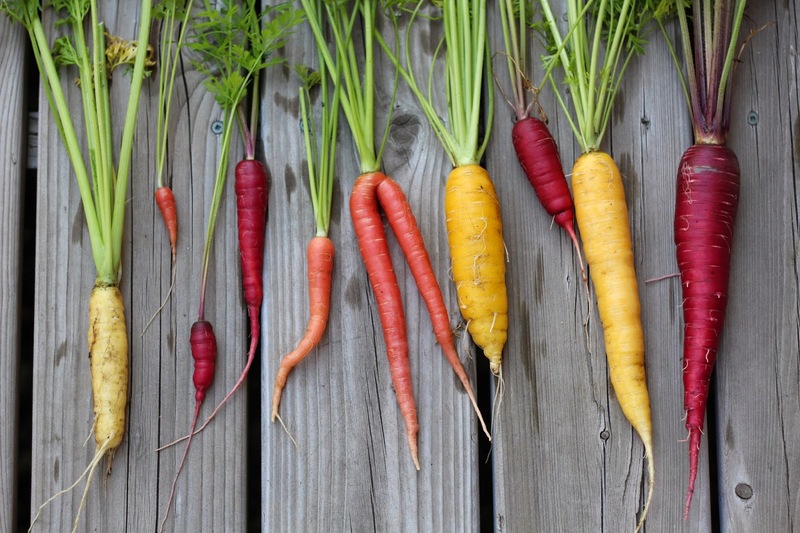 In early April we sowed some heirloom carrot seeds into the ground, and now after just a couple of months, we have a rainbow variety of carrots in different sizes and shapes. What can we do with these wonderful colours? We were so smitten with the fantastic roots we pulled from our garden, we wanted to make sure that they received the attention they deserved on our plates. 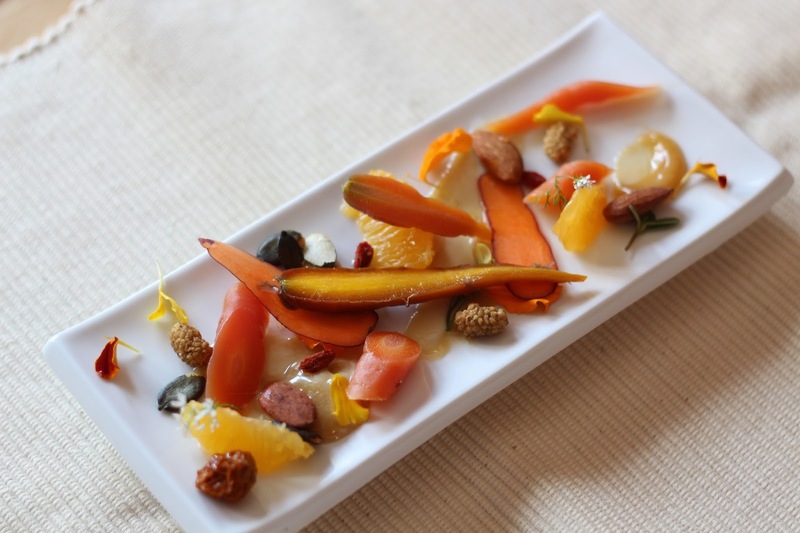 This carrot salad was also accompanied by orange segments, a coffee mayonnaise, almonds, pumpkin seeds, dried goji berries, dried mulberries, coriander flowers, and marigold petals.